Whoop, it’s 2016 and The Entertainer is back! I’m a big fan of the app rather than the book of coupons, even more so now that the app has had a makeover and they’ve added some great new providers. And I just did a quick check, in the last couple of years I’ve saved R7280. If you factor in that my husband also has the app and I haven’t included his redemptions and the fact that we had a baby in August last year so didn’t get out much for a couple of months, it really does add up to some decent saving! If you haven’t used The Entertainer before, the concept is pretty straightforawrd. They have a number of 2-for-1 offers on food, beauty, lifestyle and travel. 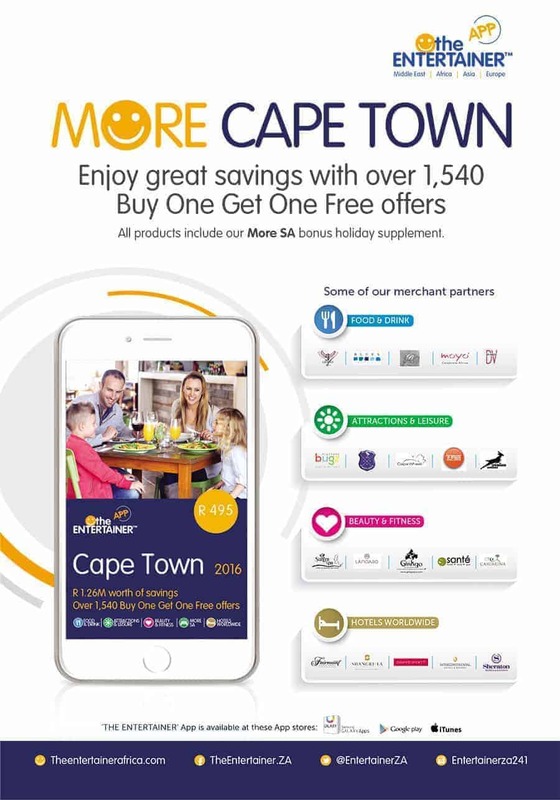 You just download the app, purchase the Cape Town offer and start redeeming the vouchers. Pop over to The Entertainer and start saving with their great offers. Have I convinced you yet? 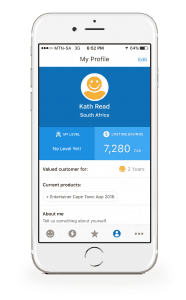 Ok, to sweeten the deal – I’ve got 1 Entertainer Cape Town to give away.